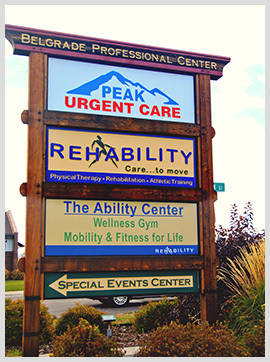 Rehability is a physical therapist owned and operated outpatient clinic located in Belgrade, MT. We believe in providing the highest quality care through one on one, individually tailored programs, using the latest manual and/or exercise techniques, and always emphasizing patient education. Steve and Denise have been practicing in the Gallatin Valley since 1996. Rehability was then established in 2006 and has grown to include a wonderful staff of therapists, an office manager, and several aides. Whether you are an adolescent athlete, a middle age worker, or an elderly grandparent, we want you to understand the benefits of physical therapy go far beyond relieving pain-although that is clearly important. Our desire is to help you achieve your highest functional potential for return to work, life, and play. A critical part of our treatment plan is to help you understand the source of the problem so that it can be prevented and managed independently in the future. We will not waste your time or money. We strive to exceed your expectations every step of the way, because we know the highest compliment our patients give us is the referral of their family and friends. We consider our strong ties to the people of Gallatin Valley and Southwest Montana a blessing. 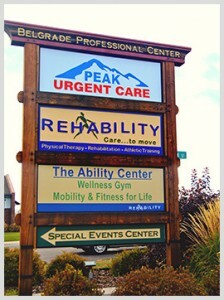 In Montana, when your physician recommends physical therapy for you- You Do Have a Choice!